A fireplace insert is like a wood stove that has been modified by its manufacturer to fit within the firebox of a masonry fireplace. Inserts are used to convert masonry fireplaces, which are inefficient and polluting, into effective heating systems. A fireplace insert can burn gas, wood, or pellets, and is inserted into an existing masonry fireplace; just like a stove can be. 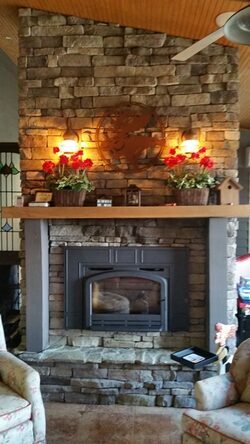 If you have a masonry fireplace that needs a facelift, an insert is there to fill the gap and rejuvenate your room. This means that it will exclusively take the place of your masonry fireplace, by connecting the insert to the chimney and flue leading outside. 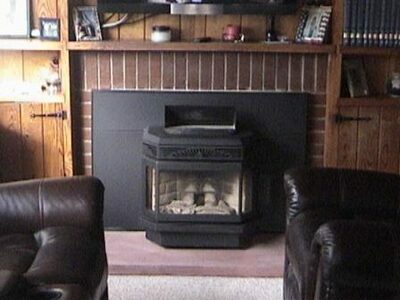 Sure this looks very similar to a fireplace, but it is definitely not the same thing. While you may not see the difference at first glance, there are many styles that make inserts and masonry fireplace look very similar. Inserts are a low cost option compared to a complete renovation to install a gas fireplace, or completely replace your existing masonry fireplace. This is yet another reason why inserts are so versatile. A fashionable choice, inserts can change the ambience of a room from traditional or rustic to contemporary. 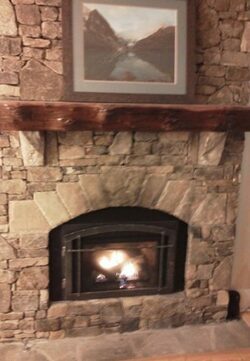 We supply and install wood-burning, gas, and pellet-fuel inserts that will convert existing prefab or masonry fireplaces, which are inefficient and polluting, into effective heating systems. Everyone loves a fireplace, but you will love yours even more when you see the beauty and efficiency a wood fireplace insert provides! This Flame XTD 1.9-I EPA Wood-Burning Fireplace Insert was chosen by our customers to make their existing masonry fireplace more efficient. 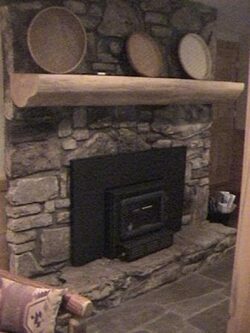 This makeover will allow them to keep a clean, manageable, and safe fire going in their home and hearth for a lifetime! This Napoleon EP13T EPA Wood-Burning Fireplace Insert was chosen by our customers to make their existing fireplace more efficient. The EPI3T has four stainless steel secondary air tubes that supercharge the fuel burning process and generate a beautiful display of YELLOW DANCING FLAMES®. Complete with traditional flush front cast iron surround, removable painted black log retainer, and a heat circulating blower, the EPI3T is the perfect heating solution for their home. A direct vent gas insert is perfect for airtight homes or basements because the sealed firebox doesn’t use internal air. 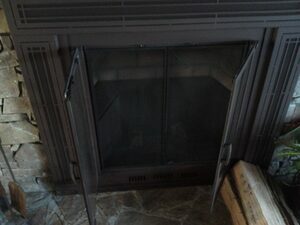 Our customer wanted to make her gas fireplace more cost efficient. 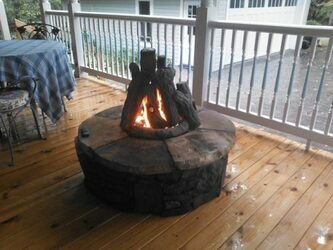 We converted it with Vermont Casting's Victory Direct Vent Gas Insert. This insert drastically improves the efficiency of your masonry fireplace. You’ll use less fuel while saving money on your heating costs. A Smart Mode thermostat which maintains the temperature to help increase efficiency, and automatic battery backup that operates the hearth even when the power is out. Perfect for the mountains! Skilled artisans create the Rustic Arched and Rectangular Doors, adding unique details for a truly one-of-a-kind look. Distressed Buffed Pewter and Distressed Black Copper color options help make a statement in any room. It's hard to beat a pellet-burning fireplace insert when it comes to reliability, consistency, & ease of use in terms of home heating. Our customer chose the Savannah “TASMAN 401” Pellet Insert because it works and looks great, is incredibly user-friendly, and is much less expensive than many other home heating options. A pellet-burning system works so well because the heating process produces so little ash or other by-products. It is a very simple task to dispose of that ash and maintain the insert. If you are unsure about what kind of heat to use in your home, consider the value and convenience that a pellet-fuel fireplace insert has to offer. Stoll combines the qualities of several heating products, namely the beauty of a glass door and the heat of an insert with their Heat Champions. Coupled with unique features like the optional Stainless Steel Grill and standard Pyro-Ceramic Glass, this product is a true Champion. Designed and hand-crafted in the USA. Power Cord routed on left or right side. We install the American Fyre Designs by RH Peterson. These outdoor features are available in a variety of styles, colors and textures to complement any décor. Our favorite is the Stucco Firepit Model OCR34. It is a 34" firepit with a stucco base and tiled ring. It comes complete with 12" base, burner and valve assembly, connector kit, lava granules and coals, and a burning display of your choice. You can build the American Fyre Designs Stucco Gas Fire Pit Kit to meet your design with multiple top designs to choose from and burning displays for the flames to dance about. Choose from firepits, firefalls, fire bowls, fire tables, firefalls and fire urns. We will come to your home and help you choose from the beautiful selection of American Fyre Designs exterior fire features. We have the necessary experience to consul you on all your fireplace needs. Warm your outdoor living area with Stoneman, Inc. & American Fyre Designs.